Showing results by narrator "Christine M. Buoy"
Shaina has 99 problems and death ain't one. Well, actually it is. She is the newest reaper. Shaina's partner is her ex best friend as well as her former boyfriend who disappeared without a goodbye four years ago. Her current boyfriend isn't a boy at all but an ancient angel with a defect. He has never heard the voice of God. Amazing story and characters! !! Skye Williams knows everything there is to know about mistrust. Dad skipped out when she was five. And now Warren Jacobs tries to sweep her mom off her feet. But Warren's not the only concern rocking Skye's world. Devin Abbott, a guy she's known since kindergarten, has changed. He's become a tall, broad-shouldered guy she might date - if he wasn't her best friend. Skye swears there's nothing between them, but everyone else thinks differently. 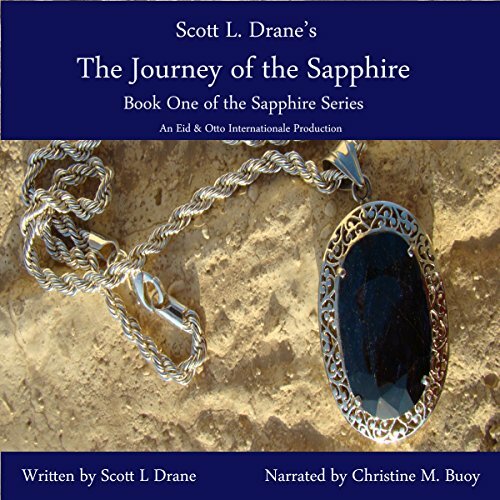 This book is a cross genre historical fiction of the journey of a large 16th century sapphire. It contains several intertwined fictional genres from romance, eternal love, criminal intrigue, conspiracies and murder plots. The book is tasteful, sincere and contains numerous heart warming situations. It has a wide range of twists and surprising turnarounds, it is filled with humor, suspense and sentimental moments that bring the stories to life.